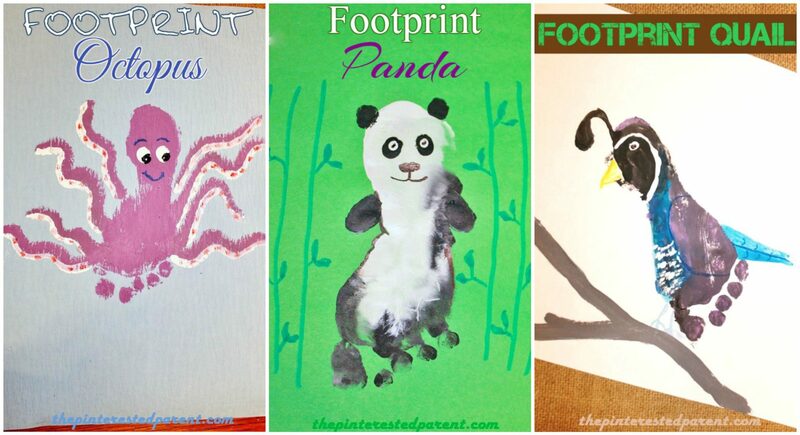 We have been having a great time working on our footprint animals. I am excited to finish all of them from A-Z. They will make a lovely addition to our daughter’s new playroom in our new house. 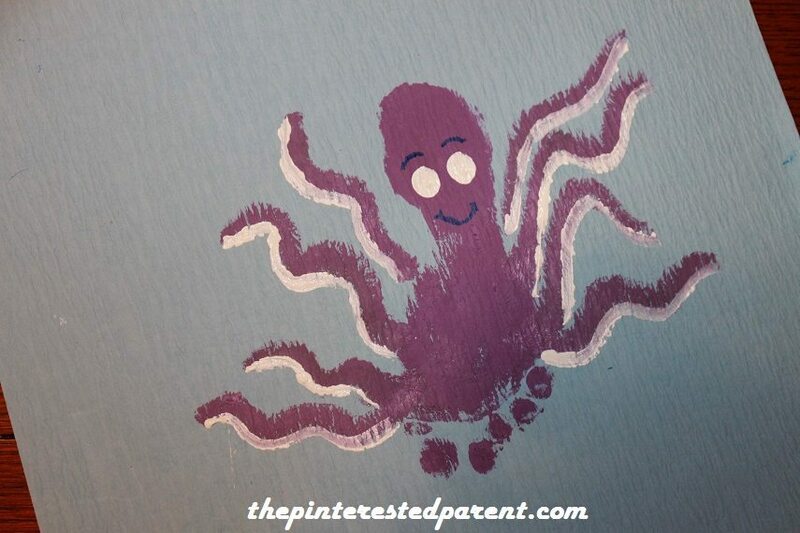 Our latest crafts are O for octopus, P for panda & Q for quail. Because of her new-found obsession with the movie ‘Home’, we made one bonus footprint craft inspired by the movie. 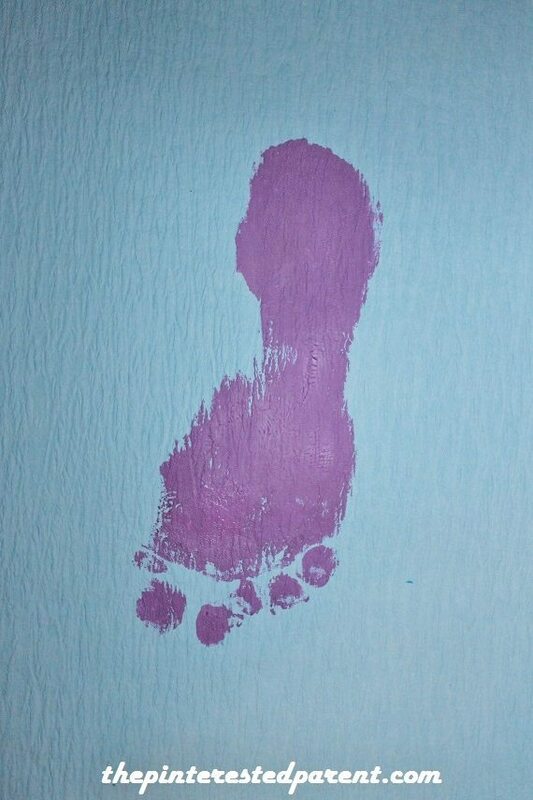 Paint your child’s foot purple. 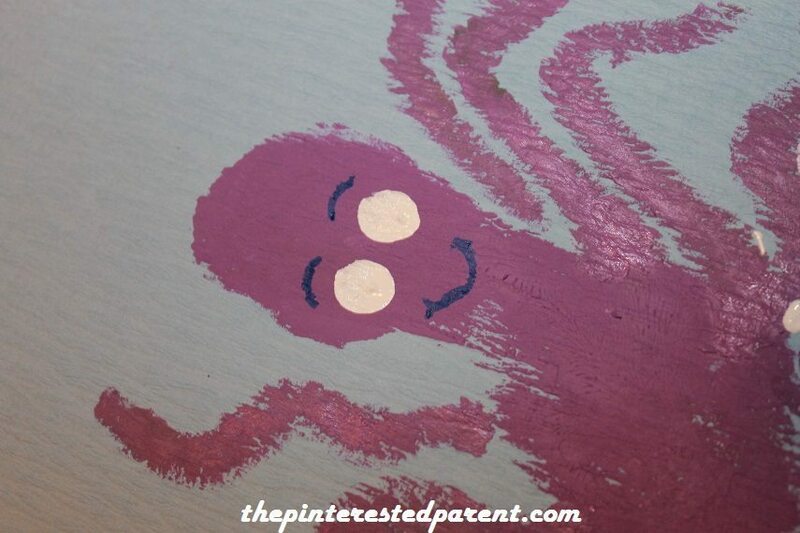 Paint the octopus’ tentacles on & dab on two circles for the eyes. Draw in facial details with a magic marker. Outline the underside of the tentacles in white. Let the paint dry. 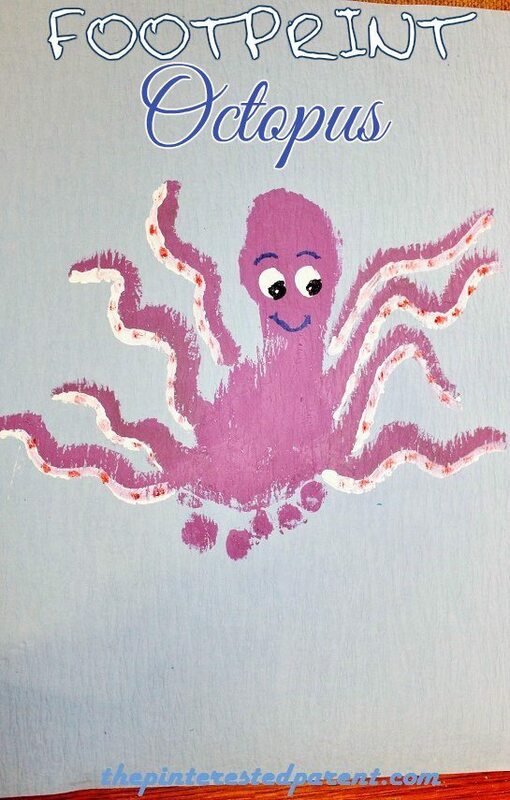 Paint in eyeballs & dab on the suction cups. 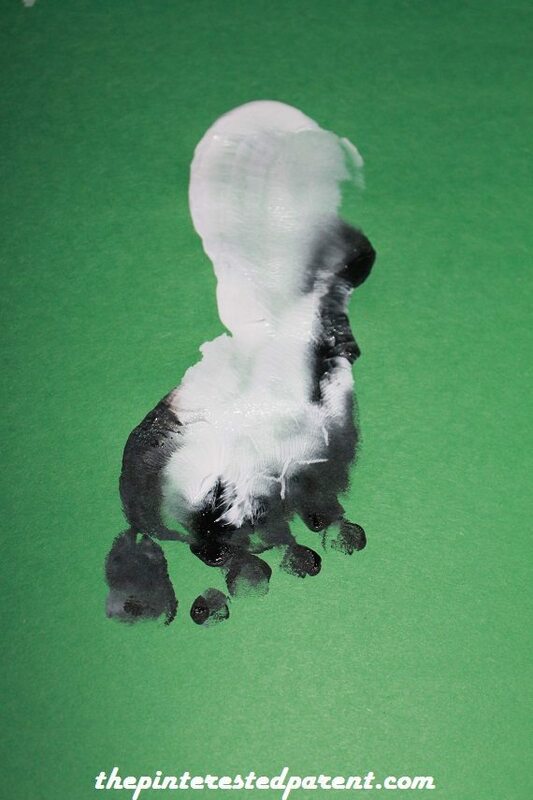 Paint your child’s foot in mostly white. Paint the toes & around the sides of the foot, avoiding the heel, in black. Dab on circles of black for the eyes. Let dry & then dab on a circle of white. 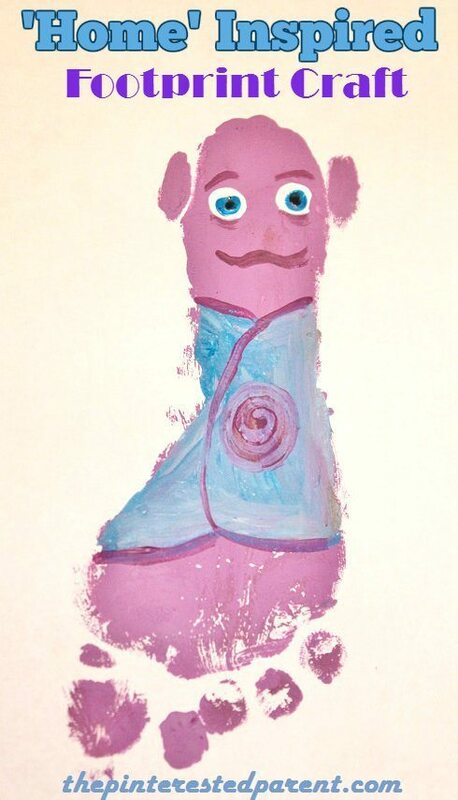 Paint in the ears, nose & mouth. 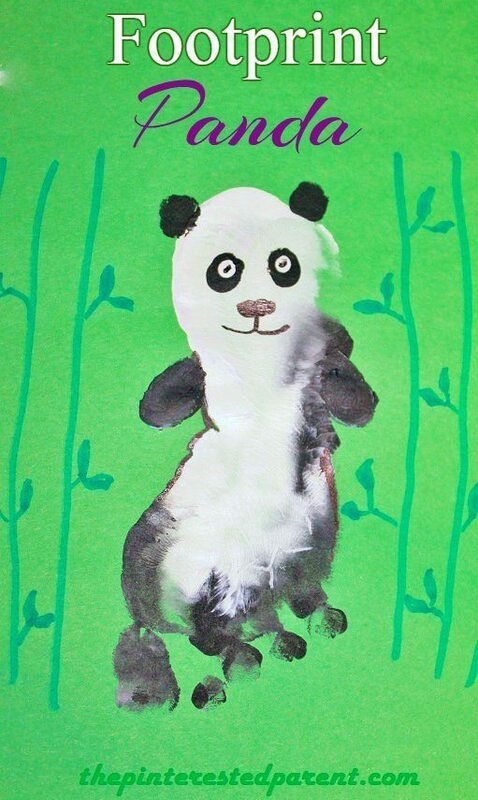 Paint in small arms & add bamboo to finish off your craft. 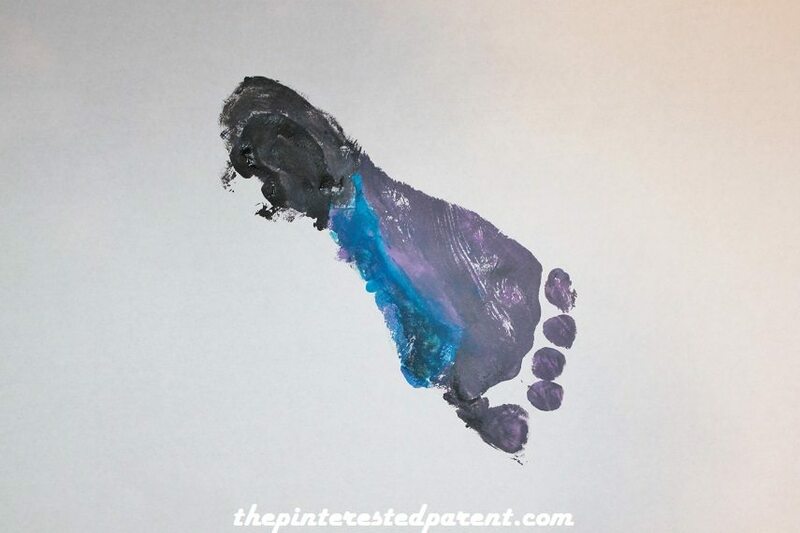 Paint your child’s foot in a few different colors as shown & press into a piece of paper. Paint in the tail feathers, the top plume & dot on an eye. 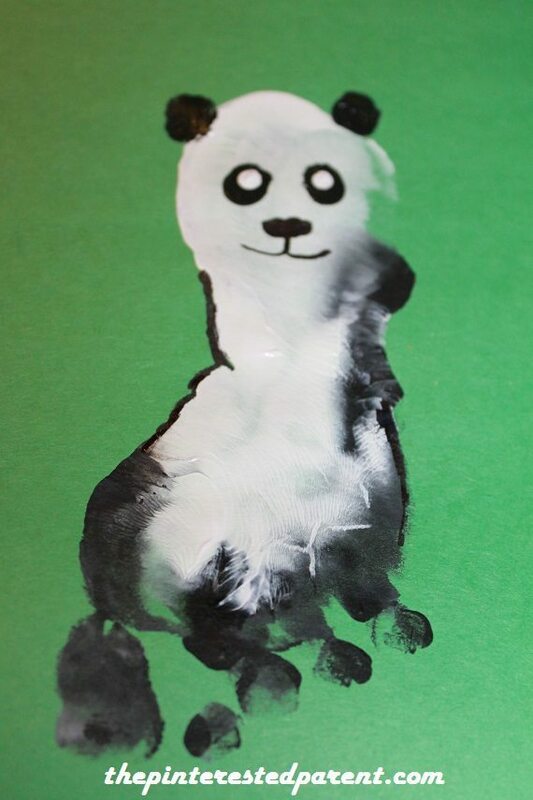 Paint a “c” shape in to define the face. 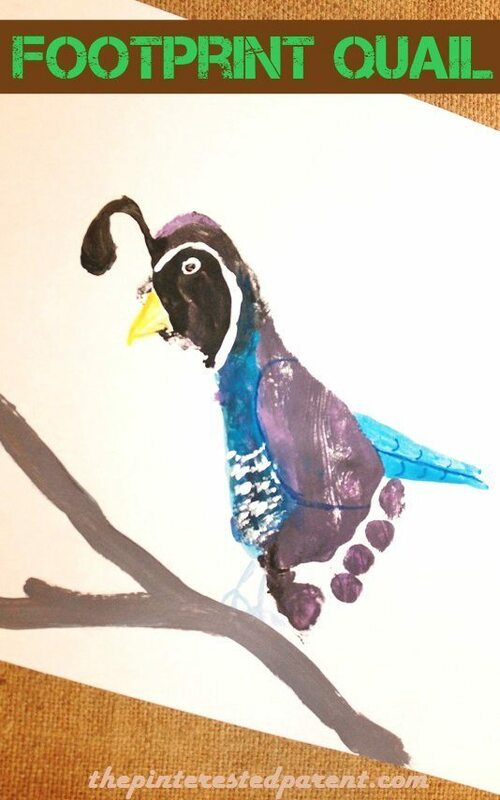 Add a beak & feet. Dot on an eyeball & add details for the feathers. As promised, we also did a bonus footprint this week. Mai is just in love with the movie ‘Home’. 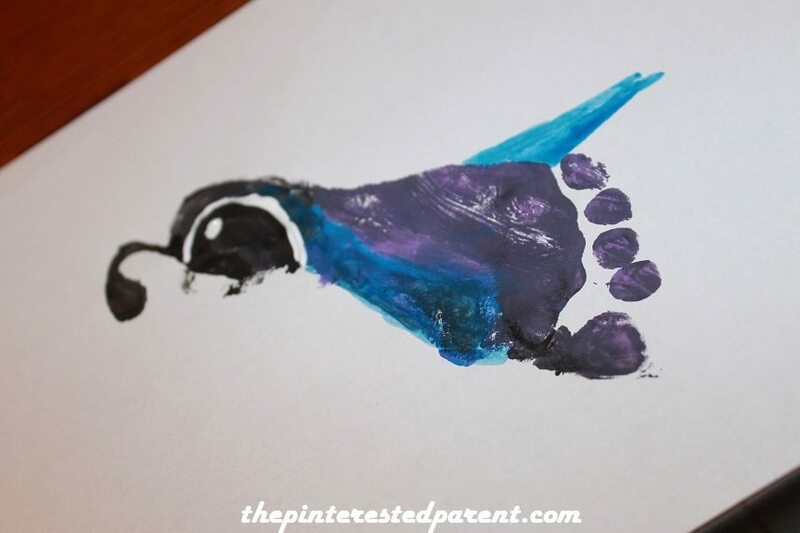 We made a footprint craft inspired by the movie.